A beautiful discovery through the process of trying to achieve whole and complete wellness and health is how it can empower an individual. One could say, it is like this amazing yet all encompassing side effect. I will be honest - it has taken me a long time to compose this blog post. As important as I feel empowering the soul is, it is not easy to describe or put into words. The effect differs from person to person on how it impacts their soul. And you don’t know how it feels until you feel it. Like the love for a child. People had warned that there is a different kind of love you experience when you have a child. Although that sounded great, I had no idea how different that love would be until I had my daughter. I honestly can’t describe it. I just had to experience it. So I am going to briefly explain the Empowering your Soul part of one's health not because I think it is less important or vital but because it is one of those “until you experience it” attributes. And you will be happy with what it creates. I could argue that it is almost the most important piece although for some it doesn’t begin until one strengthens their body and nourishes their mind. Empowering your soul can be that drive to getting up early for a workout or having the willpower not to indulge in a bad food choice, for starters, but it also leads to so much more. In my Strengthen Your Body blog, I listed many physical and non-physical benefits that result in making your body stronger through exercising. To review, in addition to increased energy, some of the non-physical benefits are improved self confidence, the feeling of being unstoppable, mood lifting which means less anxiety, higher mental clarity and alertness and productivity. 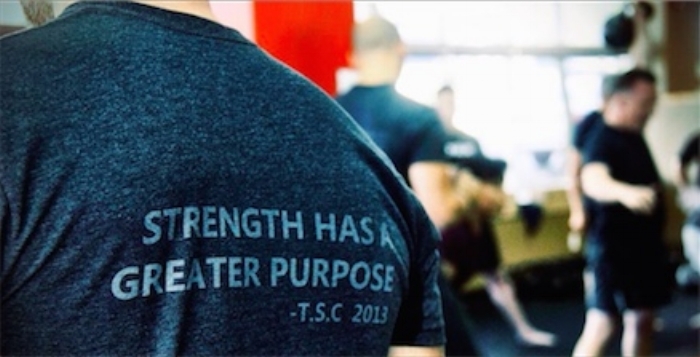 I like a quote from StrongFirst which states: “Strength has a greater purpose.” Why people get so devoted to working out is because strengthening the body is so empowering. It does increase those good endorphins. There is much beyond aesthetics and showing off how much one can lift or how far they can run. It is about how it makes them feel. When one feels more in control of their health, rather than their health or physical conditions controlling them, it can create a strength beyond the evident, a strength in character almost. My precious 64 year old grandmother client states how much more “tough” and “powerful” she feels after a workout. She is doing things she never thought she could do before especially at her age- move better, lift heavier. She leaves feeling more empowered to take on the day. One of my new clients is a high level manager with much stress and long work hours. He recently stated that he didn’t realize how “therapeutic” training would be. For that hour, he doesn’t think about work. It is time for his brain to take a break. So in that sense, it is freeing as much as it is empowering. I had another client almost in tears, thankful for how much better she felt mentally, from training and working out. It significantly helped decrease some depression she was experiencing due to unfortunate events she was going through. She was feeling better about herself than she had in a long time. One could say that empowerment is feeling and therefore having some sense of control over her life’s circumstances. Bottom line, you will know it when you feel it, experience it. You feed what you want to grow. Let’s find out together what empowering soul side effects happen for you with exercise and good nutrition. You will never regret it!